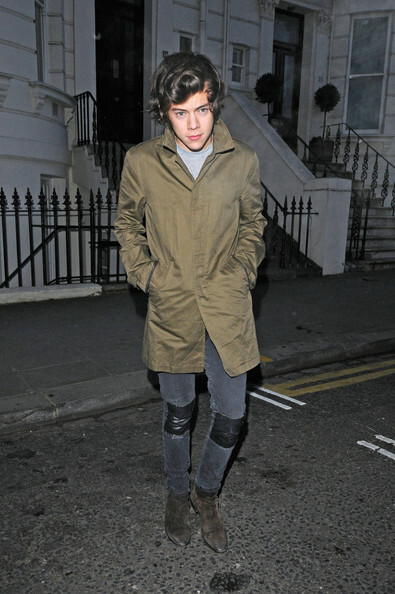 Harry Styles leaving a party in Notting Hill, London. Harry will be performing with band mates One Direction at this years BRIT awards. Harry Styles' skinny jeans had a bit of a funky flare to them with leather patches on the knees. Harry Styles stepped out in a tan trenchcoat for a night out in Notting Hill, London.